What I've done is change 74LS139 into a new one, replaced the voltage regulator for a new one and added a small capacitor to the PCB from another Famicom (originally I noticed some empty slot for a small cap so I added it) but there is absolutely no change whatsoever, the console behaves the same. I think there is some problem with M2 pin or clock in the console but can anyone guess what may be faulty here the most likely?? Maybe some small component should be replaced or changed or something?? Please for help and suggestions, many thanks in advance!! The Control Deck is model HVC-001, correct? Do you have an adapter to try 72-pin cartridges like Super Mario Bros./Duck Hunt and Donkey Kong Classics? Try bigger capacitor for the one that holds console in reset after powerup. Multi carts sometimes rely on the CIC (RESET Signal) from what I noticed. If using a NES anyway. But that's not the case. Also check if CHR ROM /OE is connected to cartridge connector pin 17. If it isn't lift it from the board and connect it there. Got any pictures of the carts PCB (front/back)? 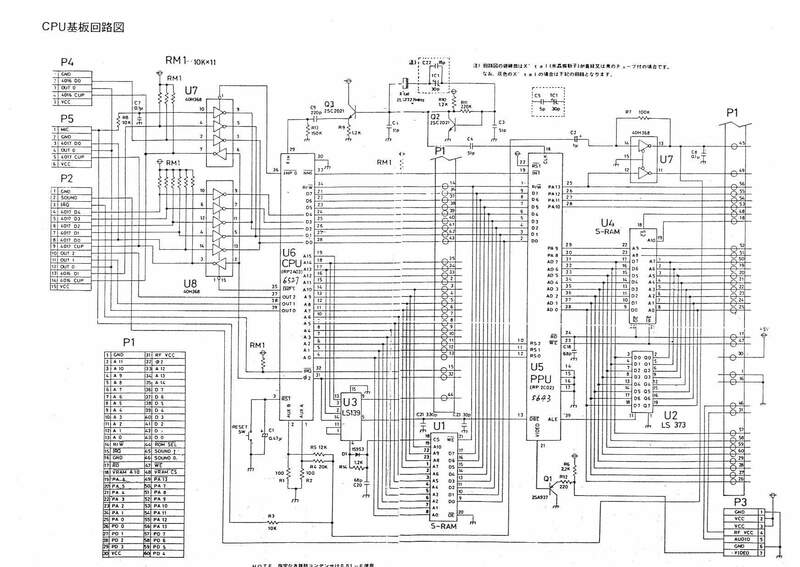 On the side note, I heard that there are some Famicom motherboard revisions with minor changes, my Famicom is HVC-CPU-05 that causes problems with multicarts. Anyone have any idea how to fix it if possible?? Someone else had a problem with multicarts on HVC-CPU-05 revision. The earliest boards, especially from the square button era, may have different electrical characteristics that cause M2-interruption reset detectors to perform less reliably. The 2A03 is significantly different from the later 2A03E and 2A03G CPUs in ways that are known to be incompatible. For example, Vs. System mainboards won't work at all if given a newer CPU. I wouldn't assume that your 2A03letterless is defective at all. Yeah, I'd say it's exactly that. "100% working but incompatible"
I suspect someone else would happily trade a functioning later-revision famicom for your older less-compatible famicom.